Our 3-year-old students continue to hone their social skills. They interact more with their peers through pretend play, and they begin to form friendships. They are familiar and comfortable with classroom routines and understand classroom rules. Calendar time is introduced at circle time, teaching the children the days of the week and months of the year. They also begin to learn numbers and counting. 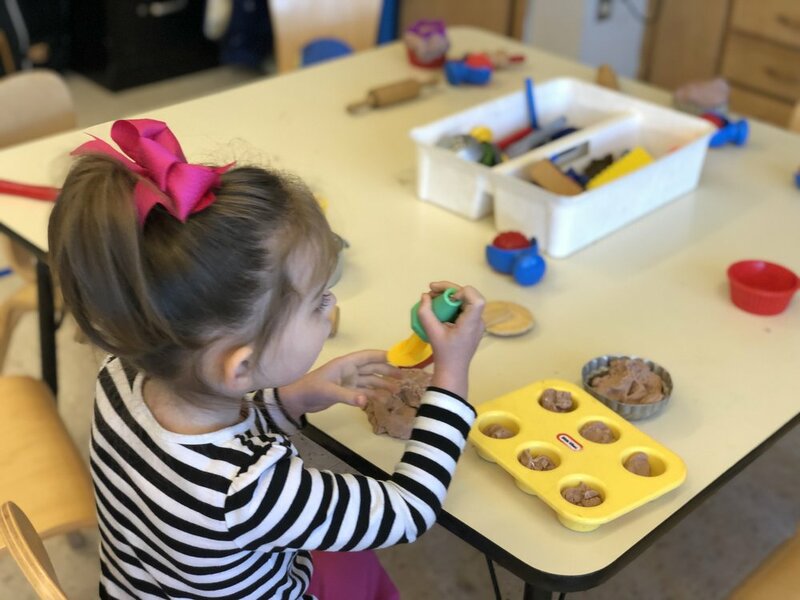 Each class session incorporates free play, a daily art project, and a variety of sensory activity centers. Class breaks for handwashing and snack time, followed by outdoor play/recess (weather permitting).